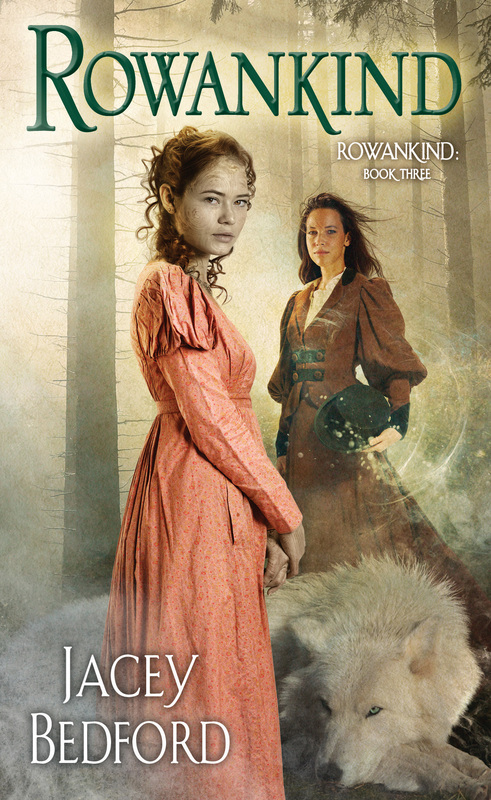 My new book, ROWANKIND, is out today. It’s my sixth published book, and the third in my Rowankind trilogy, so it represents a milestone. It not only completes my second trilogy, but it means that my published words have topped the million mark. I’ve written about 400,000 words of historical fantasy, plus over 500,000 words of space opera in my Psi-Tech trilogy, and those are just the words that made it to the final cut. With my published short stories, that means I’ve got over a million published words. Wow! I’m still slightly surprised, even though I’ve worn the letters on (or should that be off) my keyboard while producing the aforementioned works – and probably worn the fingerprints off my fingers. I so wish I’d learned to touch type when I was younger and better able to acquire the skill (and more time to do it). However I confess I am still a three-finger hunt-and-peck typist. It’s not as bad as it sounds because it gives my brain time to formulate the next sentence while my fingers are adding typos into the last one. Ah, yes, typos. One of my skills is rattling out typos. And I never spot them on a read-through, because my brain sees what I intended to write, not what I actually wrote. Though the Rowankind trilogy is finished I still can’t look on it objectively. I’m far too close. I’ve enjoyed spending time with the characters, Ross the summoner and witch, and Corwen the wolf shapechanger. The supporting characters have been interesting, too. I particular I’ve enjoyed writing James Mayo, the pirate known as Gentleman Jim, and Hookey Garrity, now captain of Ross’ ship Heart of Oak. Jim has his own blog post here. You can buy ROWANKIND from Amazon.co.uk and Amazon.com, but it’s only available on Kindle in North American Territories due to contractual issues. It’s also available from Barnes and Noble in the USA (including on Nook). The earlier books in the trilogy are also available similarly, that’s Winterwood, and Silverwolf. “Swashbuckling action, folklore and characters to care about: this is an authentic English take on historical fantasy, magic and class.” – Karri Sperring, author of The Grass King’s Concubine. This entry was posted in fantasy, science fiction, writing and tagged Corwen Silverwolf, historical fantasy, jacey bedford, Ross Tremayne, rowankind, Rowankind trilogy, Silverwolf, Winterwood. Bookmark the permalink. yay! Does the world know what it’s started?